You know how, sometimes, you’d rather be wrong? I seem to remember writing, “If” lead negotiator Stephen Barclay and his America’s Cup cohorts were a trifle naïve regarding San Francisco politics when they first blew into town, trumpeting the splendors to come, an 11th hour lawsuit filed last week by former President of the San Francisco Board of Supervisors and still-local chairman of the Democratic Party Aaron Peskin should complete their education. This is a blood sport, and you don’t have to be certifiably sane to play. I remain on-message. The America’s Cup is going to be fine. Unfortunately, if you also care about the San Francisco waterfront, then the news is less so good. Today came the announcement that negotiations between the America’s Cup Event Authority and the City/Port of San Francisco have taken a new turn. Forget about a business deal that would have re-habbed crumbling piers using Larry Ellison’s money, with rent credits as a primary means of long-haul reimbursement. 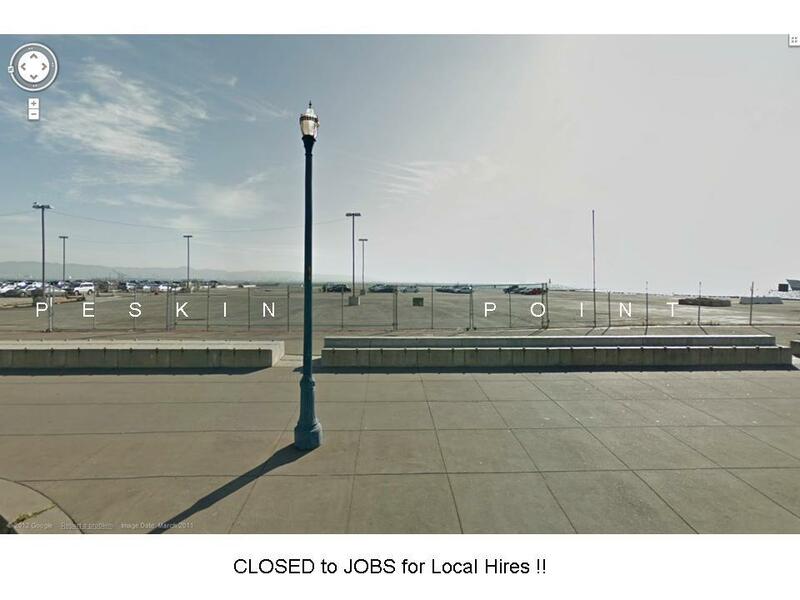 Piers 30-32, the poster children for what still needs fixing on the Embarcadero, are now to be known as Peskin Point. Looks good in the pic, but if (when) it finishes crumbling into rubble, in this decade, it will be a point all right, a point walled-off to humans, reaching uselessly into San Francisco Bay. Hearty congratulations to those who thought that Mr. Ellison, because he is rich, should just give the Port a makeover. We look forward to your ideas on how to get the job done now. There is hope. The Mayor referred to the reconstruction of 30-32 as not happening “at this time.” So all we have to do is hope that Oracle Racing wins America’s Cup 34, and the Cup stays in San Francisco, and Larry still wants a deal on piers that nobody else will touch. What could be more straightforward or simple? The America’s Cup, meanwhile, will be fine. The Spanish team, GreenCom, will build at least one AC72, giving us, at minimum, two pairs of Challengers on the water, plus Oracle Racing’s pair of Defenders. Until June 1, it’s still possible that another team or two will take the next step up. Judging by the ACWS calendar published in the Port’s press release below, ACWS has scrubbed its attempt to add an event in New York to the 2012 sked. Or perhaps that is still background. The release notes that the neighborhood around Pier 80 stands to benefit tremendously. I’m good with that, but I can’t help noticing that the America’s Cup has now moved to Dogpatch. 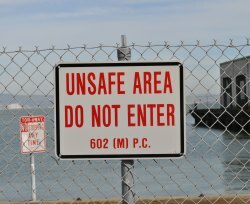 investments, originally proposed for team bases at Piers 30-32, will now no longer be necessary for races in 2012 and 2013. August 11 – 19 and August 27 – September 2, 2012. The Louis Vuitton Cup, the America’s Cup Challenger Series, will be held in San Francisco from July 4 – September 1, 2013 and the America’s Cup Finals will be held September 7 – 22, 2013.